You may remember the days of walking into a corporate office and using a pen tethered to the reception desk to sign a paper visitor log book. Perhaps you were given a handwritten visitor badge while the receptionist called the employee to notify them of your arrival. Thanks to modern visitor registration apps, the days of antiquated handwritten logs and name badges are largely in the past. Ford Motor Company coined the term automation in the 1940s. Office automation really took off in the 1970s with the advent of word processing software. Over the last decade, many offices have moved away from the analog and illegible paper and pen log book in favor of automated reception management software. These visitor check-in apps have made it much easier and more effective to digitally greet guests to your office. No more dedicated admin manpower or costly distractions of having no receptionist. 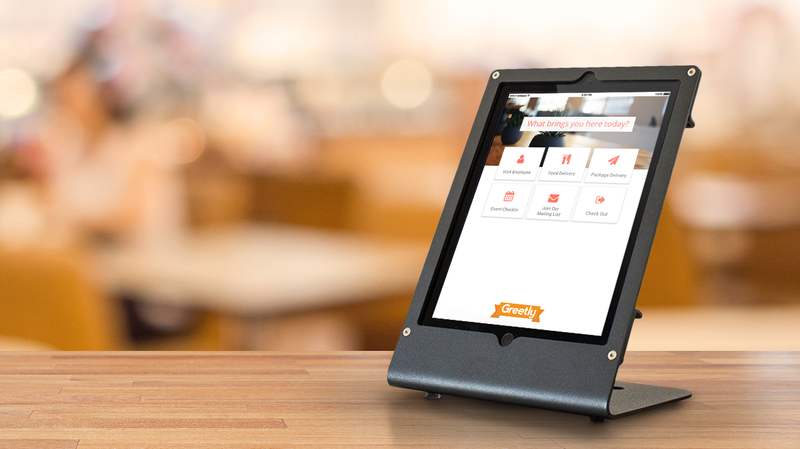 While the size, complexity, and cost of visitor management systems may vary, their basic tenet is the same: offering you control over the flow of visitors to your business, increasing your security, and minimizing distraction to your employees. Modern reception management software to receive visitors can enhance both your visitor's experience and your business's efficiency at check-in. Visitor registration software can quickly tackle all the tasks once handled by the receptionist of years past, including capturing who is coming and going, gathering information about visitors, instantly notifying employees of their guest's arrival by multiple communication vehicles (old fashioned phone call, text message, Slack), creating custom printed visitor name badges and more, all in one convenient self check-in process. Reception management software is an integral part of today's smart office building security, too. Keeping tabs on visitors can help you identify people who don't belong and know exactly who is in your building in the event of an emergency or evacuation. Technology now allows historical data to become more useful as well. Though those old paper logs may have been illegible, shredded, or stored in inefficient archives, a digital visitor logbook can be easily accessed for security, emergency, or simple informational reasons. In addition to the added security automated reception management software offers, a digital check-in process gives a great first impression. 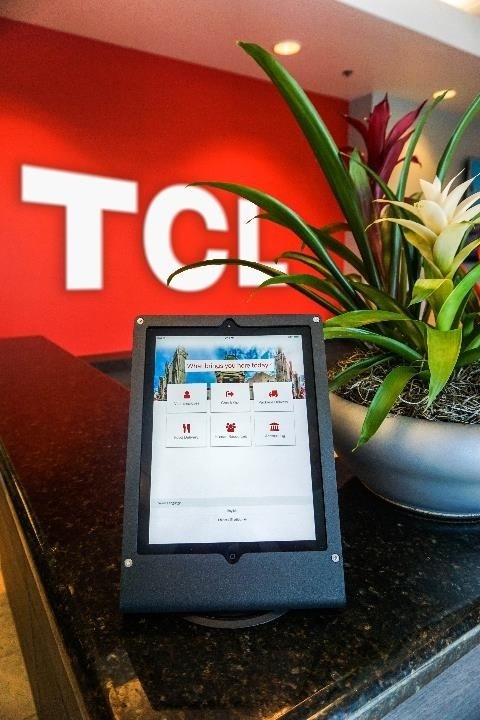 Utilizing technology in your reception area makes visitors feel your company is modern and engaged, as well as giving them an increased sense of physical security. 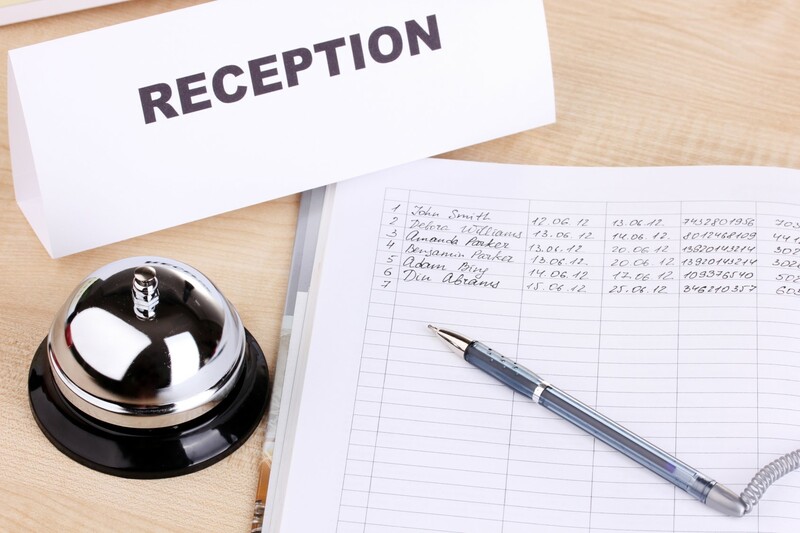 Like every aspect of the modern office, visitor management has evolved. From pen and paper to reception management software. From manual and analog to digital and instant. Today's visitor check-in apps, including Greetly, are feature-rich - from multi-medium visitor notifications, visitor photos and badges, cloud-based log book and increased security. For just a couple of dollars a day, reception management software is the modern solution for effective and efficient visitor management.